Clear disconnect between methodology of submissions and expertise of reviewers. Need more quantitative reviewers. Number is determined by the 2nd Vice President of NCA. No strict formula used to determine slots. The current 2nd Vice President reduced each division's allotment by 15%. Theme panels were drawn from submissions to each division. Once reviewed, theme relevant panels/papers were forwarded to theme committee for independent review and assignment. Min of 3 reviewers examined each submission, recommending accept or reject and ranking on four criteria. Stage 1: initial review, Stage 2: top ten papers sent to 5-person panel of tenured faculty, Stage 3. This diverse panel ranked papers and chose top 3. Top student papers were selected the same way. Due to disconnect in methodological expertise of reviewers and methods used in papers, we need to think about how to make reviewing process less burdensome for some members (quantitative). Urging quantitative members to review. We had a lot of freedom this year due to theme panels. Do we want to establish a maximum acceptance rate for future? In Orlando next year: Comm-unity. Nov 15 – 18. March 28 submission deadline. Concerns about conference costs. 23 allocations for next year. 120 slots DOWN overall from this year…Each division has about the same as last year, because most drop was in theme panels etc. Freedom of speech / be mindful of multiple audiences when titling papers. A lot more feedback needed in reviews. We now have nca professional standards for convention participants. 7 bullet points including items like: Guaranteeing attendance. Cannot have been published or presented elsewhere. Cannot already have been accepted for publication. Can only send to one division at a time. Make sure respondent has time to prepare response. All presenters must register for conference. We can cosponsor, but when submitted to pol comm, it is either accepted or rejected. Then we COULD resubmit to research-in-progress roundtable. If we are asked to co-sponsor as 2nd sponsor, it will not count against our allocation. If we are primary sponsor of co-sponsored panel, it will. They want to encourage a lot of intersection/linking cross-divisions. Maybe sending to special theme divisions would help with that. Mon, Jan 16th open for submissions. Wed March 28th submission deadline. Wed April 25th our reviews are due. First week in June, notices sent to participants. Convention resource library will be available on website. Suggestion made to consider opening sev sessions to roundtables. Based on important info that will be relevant in Nov.
Jill voices concerns about June 1 deadline BC of conflict with ica. 2 year position. Kristen has helped run it. Glen Hansen got web page up and running last year. Taskforce representing the discipline. Proposal to determine how NCA plays advocacy role. If proposals are put forth, they will be categorized as policy, ethics, academic/professional, or administrative). Administrative items will be directed to the appropriate NCA committees. Final reports will be decided by the Legislative Assembly. Taskforce of pub policy platform. Statements from NCA about what we "believe"
Taskforce is charged with keeping these statements fresh and timely. Older policy statements that do not have direct relevance to the current time will be retired. Resolution on clarification w job listings. Taken off table: Job listings through NCA would require announcing whether the institution offers or does not offer domestic partner benefits. While this resolution was retracted by the author given the Assembly's concerns about its application, it will be back next year, so individuals should consider whether their institutions would be able to give accurate report on this. The Legislative Assembly passed a motion that would prohibit the 2nd Vice President from censoring language in program titles that may be deemed offensive. While Steven Beebe seemed amenable to working with authors to determine the extent to which language was necessary for a study's title, the legislative body did not want program planners to have any censorship power over author titles. Budget: $3.4 mill budget total. Division budget: $660 – up $20 from last year. 793 members as of March. Of NCA dues, our division gets approximately $0.83 per person. Total money given to the units of NCA, only $24,000. $660.73 on plaques bc of multiple authors. Fundraising? Anything that goes in our budget, we have to spend in a year. Proposals to change this dynamic? We don't have one this year. Last year, we had an anonymous sponsor for a small reception, but it is certainly cost prohibitive. Is a reception a priority? Advantages/disadvantages? Discussion w Mass Comm division to talk to publishers about sponsoring joint reception. Mitchell McKinney noted that the division had discussions in the past and with the limited budget decided to reward scholarship via plaques. Panels linked with book award are not particularly well attended. Do we want book award panel to be a priority (keeping in mind that we have moved book award deadline earlier)? 3 submissions for book award this year. All award windows are 2 years. But should we extend this window for book award because of the length of time needed to write a book? No motions on the floor, so we will not change the 2 year window at this time. We'll will review the situation again next year. Change them so they won't say "speech comm division"
Anyone interested in serving on the By-law Taskforce should see Kate Kenski. A. New awards deadline: Change to February 15th 2012. For previous calendar year. 2010-2011 articles for 2012 nominations. C. Diane Bystrom: Catt Center has research award. Due dec 1st. Award 3500-5000 each year in pol and women. Archive of women pol communication – 5th year anniversary. 800 speeches from 250+ women. To: Brian Taylor, JM university: presidential campaign rhetoric in an age of conventional politics. 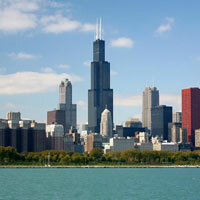 The 100th Annual NCA Convention will be held in Chicago, IL, from Thurs., Nov. 20 to Sun., Nov. 23.